When it’s time to go to the dentist, do you feel anxious? Does the sound of the tools put you on edge? Have you tried relaxing music for anxiety control? We have some ideas to help ease your anxiety. Having a distraction and some effective practices can work wonders for lowering your blood pressure, which means you’ll be able to calm your nerves and no longer have the urge to flee the dental office. 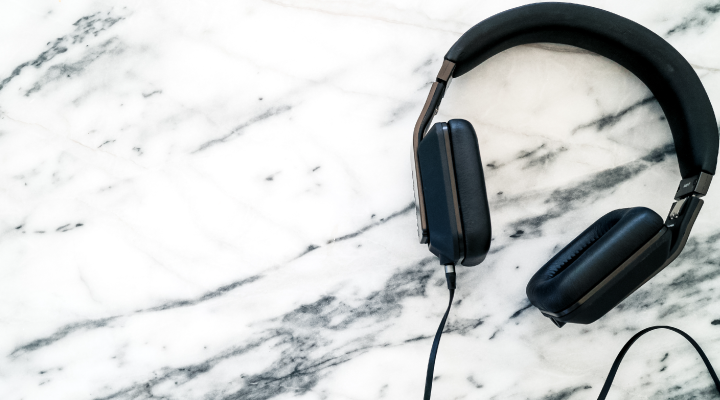 The American Dental Association recommends that patients listen to music in the dentist office as a form of distraction, especially when going in for a cleaning or a filling. A variety of different sounds can have a calming effect on your anxiety. Personalize your experience by experimenting with different types of relaxing music and calming sounds. Once you find out which one works best, stick with it! Before getting started with your treatment, ask if you can play your relaxing music for anxiety control over the speakers of your phone. This way, you’re still able to converse with the dentist through your appointment. If you’re more interested in “blocking out” the experience, earbuds and noise-canceling headphones are excellent. They allow the music (or silence) to shut out external noises. Music is a powerful way to influence your emotions. You don’t want to get pumped before your dentist appointment, you want to relax. So avoid music that you listen to before working out or going out on the town. Relaxing music for anxiety control tends to be without lyrics. This will help keep you calm and avoid bringing up any negative thoughts via the lyrics. When at the dentist, be aware of your surroundings if you’re playing music outside headphones. Your music should be soft and peaceful; don’t disturb anyone else in the office who may have anxiety! Your dentist is concerned for your overall well-being and they want you to have the best experience possible. If your dentist doesn’t ask how you are when you arrive, share your dental anxiety with them. Your dentist will be able to give you better care when they know. It’s likely your dentist wants to be accommodating, and it’s important that you’re relaxed and comfortable with them before starting any dental work! If music isn’t calming you, white noise is another option that reduces stress. During a study when white noise was played, 80% of infants fell asleep within five minutes. White noise gives you something to concentrate on while also being present in the moment with the dentist. A fan, heater, and playlists online are great options for white noise. Call your dentist’s office before your appointment and ask how they accommodate patients who want to listen to music. If you’re comfortable, you can also ask them if they specially accommodate patients with anxiety. If you’re not relaxed with your current dentist, we encourage you to use this tool to find a new dentist that feels like a friend.